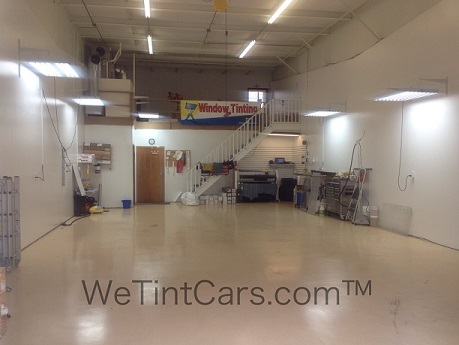 We are proud of our tint shop and strive to keep it a clean, well lit environment in which to install in. 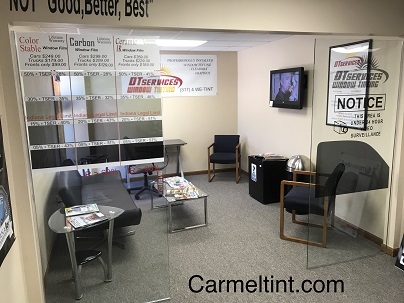 Unlike most high output tint shops, you can feel very confident leaving your car with us as you go about your day worry free, knowing that the service you have asked us to do will be performed in an upscale facility in the best overall environment possible. Modern, air-conditioned, brightly lit, clean floors, is the perfect environment to install just about anything! We mop the floors daily and keep the shop clean and ready for your vehicle to get the red carpet treatment. We want to gain your trust and loyalty so you'll bring us your every car. Image is everything. We take it seriously. What message are we sending as you wait for your car? If the waiting area looks this good, then our quality must be good too! 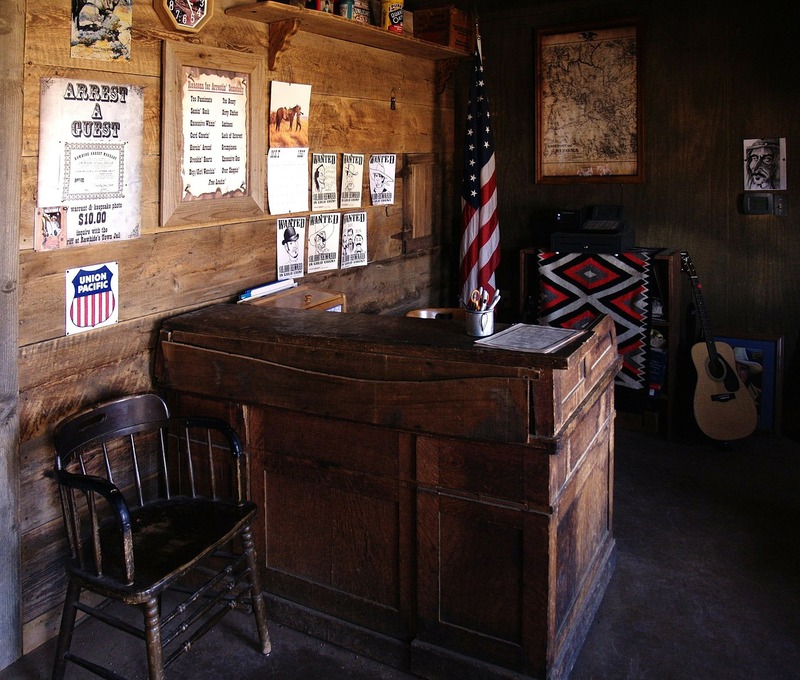 We take our business seriously and we are not just out to make a quick buck. Our mission is to establish friendships with people who will trust their cars to us over and over again, while referring us to their friends and families. This commitment we make to each and every client we are privileged to work for and it's a commitment we will make to you! We are proud of our installation facility and strive to keep it well lit, clean, and the best environment possible to install all the services we provide. 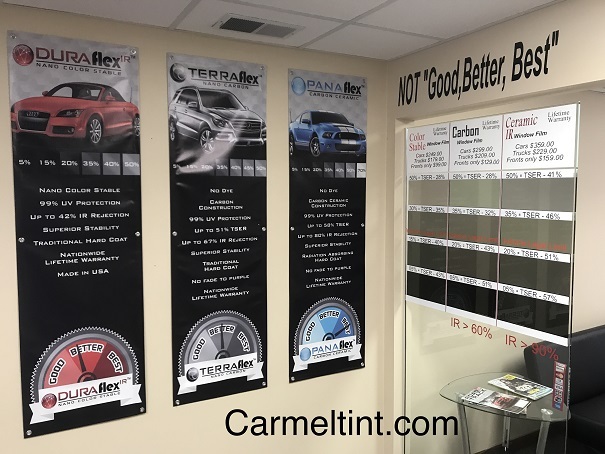 Our clean environment aids us in our efforts to do the best job on your car possible, We believe our shop is one reason we can consistently produce great looking results and we aim to keep it that way. 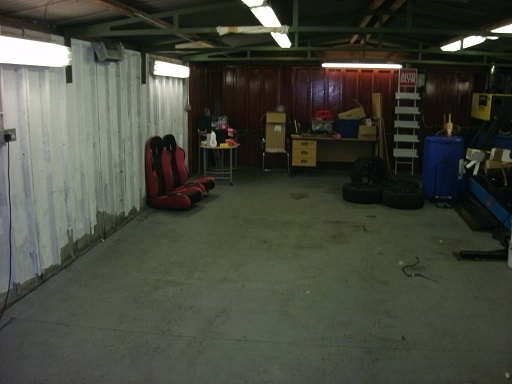 In fact, we are so passionate about a clean environment that we recently remodeled our shop to improve it even more! Click here to see the NEW SHOP! 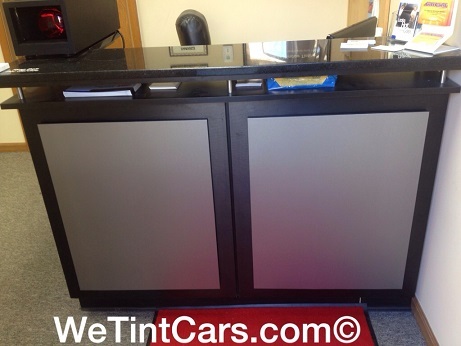 So, if you are sick of the average tint shop and want to be treated with respect, contact us today! Dirty, dimly lit, dark, and dingy. Basically it's just a step up from a dirt floor shack. 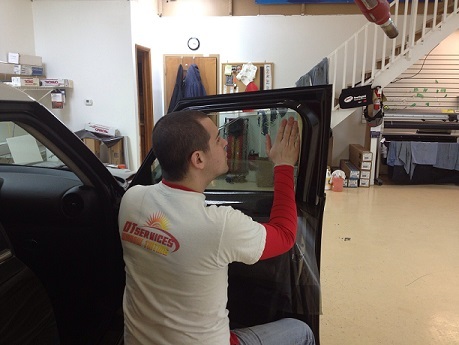 Not the best environment to tint windows, install clearbra paint protection films, graphics, or tail light tinting. Would you even consider changing your oil in this shop? Image is everything? What message are they sending having you wait for your car here? 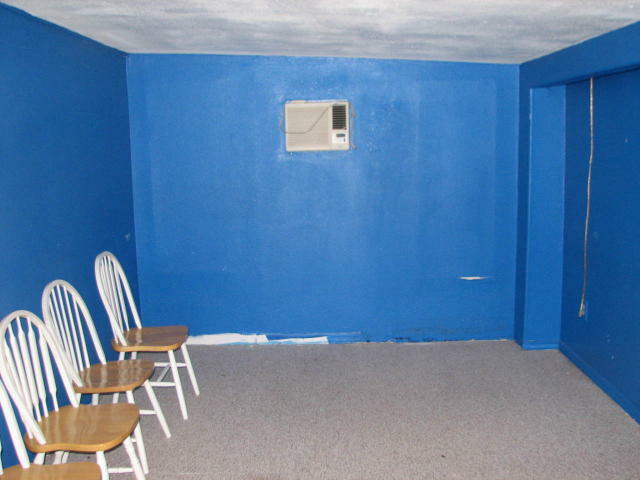 If the waiting area looks this bad, how can their quality be any good? ?